How can Blockchain Transform the Delivery of Public Services? Blockchain technology is rapidly evolving, and increasingly presenting new opportunities for organizations in this digital age. This transformative and innovative technology has seized the attention of both corporate and public decision makers as well as digital leaders across the world. Blockchain offers the potential to positively disrupt the value chains of several industries, providing solutions which involve trust, immutability and decentralization of information. Source: Avasant analysis of 250+ use cases across industries. 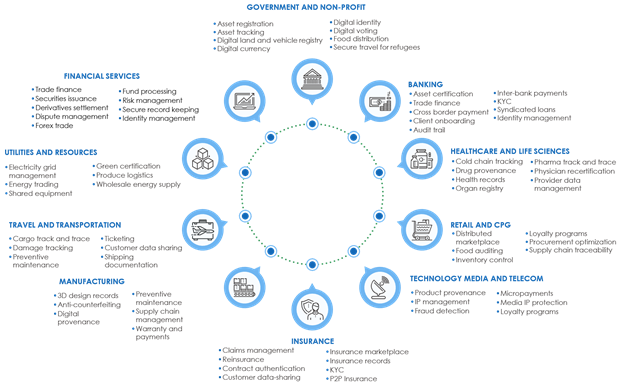 While initial developments on blockchain use cases were concentrated on the financial services industry, Blockchain discussion and experiments in the public sector are rapidly emerging globally. Governments are proactively learning about Blockchain technology and running pilots, tests and trials to effectively examine its potential as a basis for government service provision and procurement as well as its application for internal use. The decentralized, immutable, secure and transparent nature of Blockchain has piqued interest of Governments globally, realizing its transformative potential to improve public sector services and adopt e-Governance to advance in the digital economy. 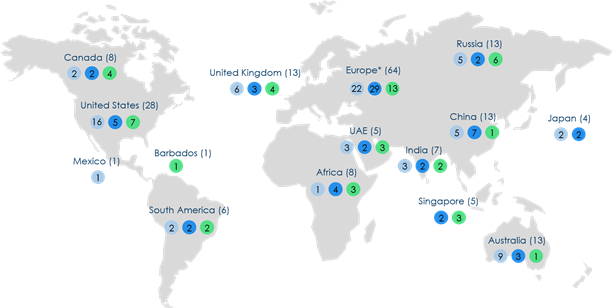 Over forty countries of varying levels of economic development have launched or are in the process of launching over two-hundred Blockchain-related initiatives to improve public service delivery across industries including healthcare, financial services, education, real estate, etc. The United States of America, Netherlands, United Kingdom, Singapore, Australia, Russia, UAE and Canada are among some of the major players implementing blockchain technologies with currently over eighty cumulative applications of blockchain use in the public sector of these countries as per OECD’s 2018 working paper "Blockchain Technology and its use in the Public Sector”. Note: The Netherlands accounts for approximately fifty percent of public sector blockchain initiatives in Europe with 32 applications of the technology, of which, 22 percent of projects are in early research stages, 75 percent are in project incubation/ proof of concept, and 3 percent in development. As the potential of blockchain to transform public services is realized - instilling trust and confidence in citizens and enhancing productivity, security and integrity for governments - widespread application/ implementation becomes inevitable. Click to open the full whitepaper which covers topics such as Imperatives of Blockchain for Governments, Applications of Blockchain to overcome Governments’ challenges, Government challenges to Blockchain Adoption, the road ahead and more.